Read part of a ‘Torygraph’ article this morning that said that all army cadet rifles have been withdrawn to proper armouries. In the past week the .22 rifles and ammunition held in our squadron arms cabinet (about to have alarm system fitted) have been taken to our friendly local RAF armoury. Anyone any idea what is going on? I hope it isn’t yet another example of an activity being stopped with no alternative offered. Basically in a nut shell the vast majority of squadrons are not up to home office standard for the storage of arms and ammunition. Speak to your wing shooting officer who will have more details. Basically, interpretations change, overarching regulations change and the response to risk changes. We are adapting to a fluid environment. Ah, it all happened with no explanation! There is a forum on the ARRSE website about it. Does this mean that shooting is ‘paused’ for the moment , or is there a workaround being sorted? Additional logistical considerations may be required, but there is no additional pause over and above complications normally involved. Basically, interpretations change, overarching regulations change and the response to risk changes. What i am hearing is that we have been against regs for 10+ years and the MOD have now been pushed to change this and quickly. Dangerous “We” there, in that most of the issues appear to originate from army units. We operate within the published regulations (in my experience) but those goalposts move and the MOD do not necessarily understand the cadet footprint or limitations (as normal) so there may be some catching up to do. 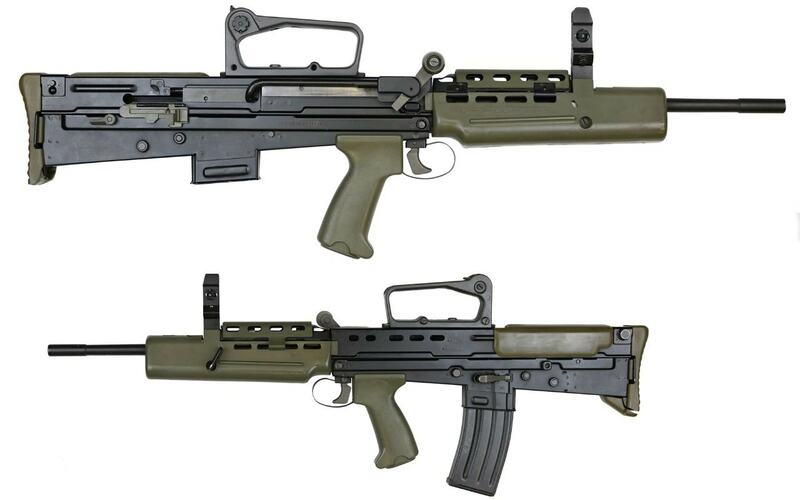 There has been a change in the interpretation of the rules for ‘deactivation’, so opinion is now that L103A2’s are S5, so require the same security as L98’s. It’s just a technicality over approval of the modification. On the back of that, it has been noticed that armouries don’t meet current spec (despite being far in excess of what you would need for you own FAC at home). Shooting can still continue, but you just need to plan for moving weapons and ammo to and from the range - for some sqns / wings, that means no change, for others that makes it ‘too difficult’. I expect that we will never revert to the previous position with respect to the L103s: bringing them up to current decommissioning standards would render them useless to the task and I don’t see any senior officer accepting the risk for anything else. The thread on ARRSE seems to be pinning its hopes on getting them unclassified as S5 again, though I don’t see that happening. Perhaps having them treated as S1 might restore some semblance of practicality to their use, at least when the S1 matter gets resolved! anyone got a link to the ARRSE thread? I can’t find on my searches. what is said here is completely different to what I have heard regarding why our gear is being recalled. I am getting it third hand though. We don’t have weapons on site so out of the CoC correspondence! Shooting isn’t paused as such, you just need to sort it with your parent station to deliver weapons for this to happen or go to them. One story is a catalyst for the other being accelerated to warp speed which is probably why you’ve heard two different stories. They are both right. No reason why once the hubs are in place, Benwald with Alarms they couldn’t go back to units, the issue is and EU regulation so technically it could be solved with a hard Brexit! The issue is largely a PR one - the MoD can legally store Tomahawk Land Attack Missiles in cadet armouries if they want to. It just looks bad for us if some “assault rifles” go missing. It was bad for us when the MoD lost some bar mines and in all my years I’ve never heard of a cadet unit storing or moving bar mines. This has nothing to do with anything other than people taking the line of least resistance which invariably means when it comes to us a prevention of doing it in some way or other. Spawned by idiots who daren’t apply logic or common sense. At the height of and through “the troubles” in NI, we had live and DP rifles in our squadron in what compared to the new style arms’ chests was a biscuit tin. We went out and did arms drill displays, armed sentries on "remembrance parades and armed banner escorts, as did a number of squadrons, photos in the papers etc and never was there any of this complete and utter nonsense. There could well come out there in cadet land for whom this will be the straw that breaks the camel’s back. The facilities would need to be of a standard to store section 5 firearms and certified as such. Defence chiefs have urgently recalled decommissioned rifles from insecure cadet units amid fears they could be converted and turned into weapons used by criminals and terrorists. it would seem there are fears that DP weapons can be reactivated. i presume this is discussing the L103s? although I appreciate possible, why go to that much effort? reengineer the bolt carrier assembly to allow for a firing pin - and a new firing pin. Both of which to me seems beyond the wit of the DIY gunsmith in a garden shed given the tolerances required. am i missing something? or applying my “insider knowledge” of DP weapons to a Torygraph article hyped up to sell papers? They could be reactivated, but the reality is by the time you have gone to the effort of doing so, you could have built yourself several nice new sten guns, and the ammunition would probably be easier to get. In recent times, criminals and terrorists have been managing just fine without our rifles, this is just scaremongering. Due to EU regulations, deactivating the weapons to current standards is a non starter.